Planning to visit Auckland? Get best business flights here! Now with cheap flights to Auckland, get completely enthralled at the magnificent site of the beautiful town of New Zealand. Being the most populous and largest urban areas of Auckland, it becomes a must to see city amongst the major and most recognized ones in New Zealand. 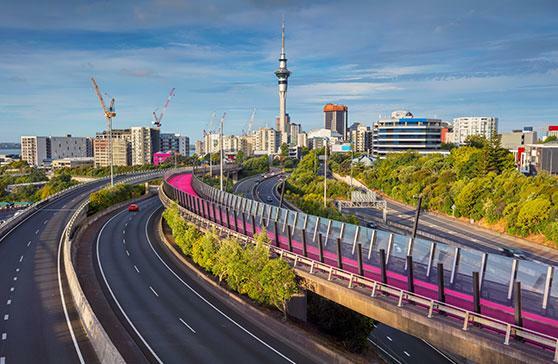 Auckland is popularly known as the heart of the city, from stunning art galleries to the symbolic Sky Tower, and from the striking waterfront to the War memorial museum, everything is so grand in Auckland you just wish to see as it is. The outstanding views and historically important attractions like the Auckland Museum, the sky tower and the Auckland Zoo sums up the city as one big giant of wonderlands. With cheap flights to Auckland, visit the Kelly Tarlton's Sea Life Aquarium, a public aquarium providing great information regarding the marine life, the Auckland Art Gallery that features as a public gallery and has an extensive range of international and native art. 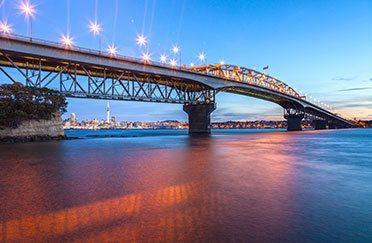 View the sights of the Auckland Harbour Bridge and get mesmerized in the views from that height. Get to know more about the city by booking cheap flights to Auckland and exploring the worth exploratory sites of the vibrant town of New Zealand. The needle like Sky Tower is Auckland’s most prominent landmark, 328 meter high. It is New Zealand’s highest building. From the observation deck you can snap the perfect city panorama. Visitors can enjoy views by walking the exterior 192 meter high Sky Walk platform around the tower’s pergola. You can also try sky diving from the platform. The Waiheke Island is another exuberant one, which definitely gives you an ultimate summer re-treat. It is one of the most popular attractions and the most populated; around 8000 people live on this island. The tranquil and scenic great barrier island is one place you definitely shouldn’t miss, from sea kayaking to the island’s coastal view, you have a lot to do and see here. Auckland’s impressive War Memorial Museum is one of the most important museums in New Zealand. The museum houses a remarkable collection of artefacts that traces the history of New Zealand. If you want to see the most impressive cultural site, visit Auckland Art Gallery that is home to the most extensive art collection of New Zealand with more than 15,000 artworks. Don’t miss to visit the famous public park in Auckland, the Albert Park that is home to variety of attractions. The most prominent building near the park is the Old Government House. 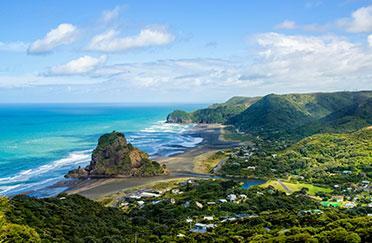 It is New Zealand’s largest city. The city is the largest Polynesian city in the world. The tallest structure in the southern Hemisphere is the Sky Tower. Auckland is the most populous and the largest urban area in the country. Auckland is ranked 8th in the list of the World’s most liveable cities by Economist Intelligence Unit in 2016.